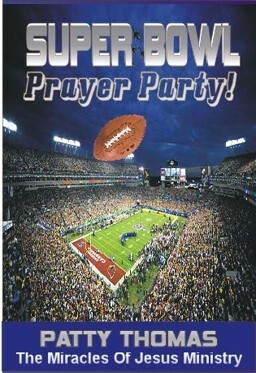 The Super Bowl Prayer Party began in 2014. The Lord Asked me to “gather His people” to pray. Research revealed the human trafficking issues around the game, and the efforts of law enforcement to curtail those activities. Human trafficking is a huge issue here in the United States, but even more so internationally. During the time of the Super Bowl, several people became aware of The Presence of The Lord and His angels during the game. There was a definite peacefulness overshadowing the entire event. Many prayed over the people attending, serving, and watching. Mass deliverance techniques were taught to those who participated in the movement. As a result, news stories told of 85 people being arrested involved in human trafficking and sexual slavery. Some were young girls who had been kidnapped and sold into slavery. They were released and returned to their families. Praise God! This prayer movement is a part of the efforts of The Miracles Of Jesus Ministry, founded by Patty Thomas. The ministry was founded by Patty in 2000, and runs other international movements. The largest is the “Worldwide Waves Of Praise” on Christmas Day at 3pm in people’s own homes. It is a tangible way of “putting Christ back in Christmas,” even though we know today that it is not the time of His Birth. The movement inserts Him into a pagan holiday, much like the taking back of The Temple by the Macabbees. 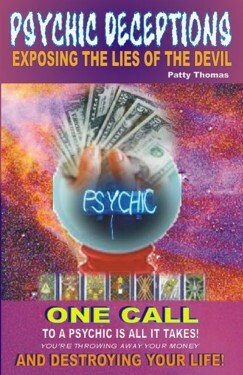 Patty is author of 12 books, with over 40 more presently underway. She is currently working on several of them at the same time as working on full-length motion pictures that will advance the Body of Christ towards His Second Coming. 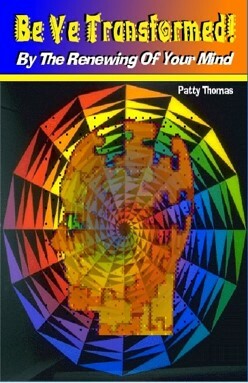 Author, singer/songwriter, prophetic artist and more, Patty has laid her life down before The Lord for many years. She’s learned to walk “moment by moment” with His Continual Guidance and Instruction.